In many people, high insulin (hyperinsulinemia) is the primary driver of chronic metabolic illness, even when blood glucose is normal. For people concerned with achieving and maintaining optimal health, few things are more important than healthy gluco-regulation—that is, your body’s blood glucose and insulin levels, and how they respond to the foods you eat. Here at Heads Up Health, we’re committed to helping you realize your health goals. 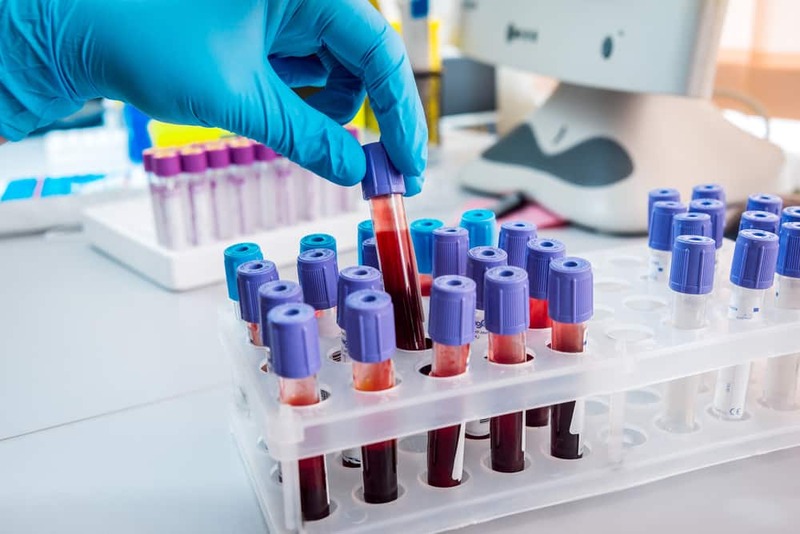 Past posts on our blog have explained how to interpret various lab tests for people on low carb diets, such as fasting glucose and hemoglobin A1c. We emphasized that besides just measuring your glucose, it’s imperative to keep track of your insulin levels. Fasting insulin is the most important test most doctors don’t even order. Another measurement, called HOMA-IR, is the relationship between your fasting glucose and insulin—it tells you how much insulin your body needs in order to keep your blood glucose at a certain level. Because it factors in insulin and not just glucose, HOMA-IR is often a better indicator of metabolic status than glucose alone. But what should you do if your fasting insulin level is normal, but you think you have signs and symptoms of chronic hyperinsulinemia? Is this even possible? Can you have a normal fasting insulin level but have high insulin at other times? Yes! Enter the Kraft test. If you’ve never heard of the Kraft test, don’t worry; you’re not alone. It’s not a well-known test in conventional medicine, but it’s gaining popularity among doctors who use low carb and ketogenic diets with their patients. If you’re familiar with the oral glucose tolerance test (OGTT), the Kraft test is a variation on it. In case you don’t know what the OGTT is, let’s start there. Here’s what the American Diabetes Association says about the results. With these two small changes, the Kraft test gives you a staggering amount of information you won’t get from the standard OGTT. Why’s it called the Kraft test? Well, the man who created it was Joseph Kraft, MD. It can also be called an “oral glucose tolerance test with insulin assay,” but in the low carb community, it’s usually referred to as the Kraft test, to honor the man whose work was some of the earliest in uncovering the detrimental effects of chronically high insulin. By including insulin measurements and extending the test to five hours, what Kraft discovered was nothing short of mind-blowing. As he wrote in his book, Diabetes Epidemic & You, “There are far too many who are told, ‘Don’t worry, your fasting blood sugars are normal.’” And indeed, many people do have normal fasting blood sugar, but that’s only thanks to sky-high insulin. (HOMA-IR can help identify this situation.) And what if your fasting sugar and fasting insulin are both normal, but you suspect your unresolved health issues could be due to high insulin at other times of the day? This is where the Kraft test shines. To describe the situation of normal glucose with high insulin, Dr. Kraft coined the phrases diabetes in-situ, and occult diabetes—occult meaning “hidden”—the diabetes (that is, the high glucose), is hidden, or masked, by the high insulin. And as we explained in the Heads Up Health post on fasting insulin, even when glucose is normal, chronically high insulin is a major contributor to abdominal obesity, gout, hypertension, PCOS, skin tags, and more. And remember—the official diagnostic criteria for type 2 diabetes are based on glucose measurements alone, not insulin! This is why quite literally millions of people with diabetes in-situ remain undiagnosed, and their medical care team fails to connect hyperinsulinemia to the issues they’re dealing with–because they’re not testing insulin. Kraft’s original tests called for 100 grams of glucose solution, but some doctors may use 75 grams. Just as with the standard OGTT, your baseline glucose and insulin levels are recorded via fasting levels. You consume the liquid glucose, and then your glucose and insulin are both measured at the 30-minute mark, and then again at one hour, two, three, four, and five hours. Pattern 1 – Metabolically healthy: In response to a glucose load, the insulin level rises quickly, but moderately, and it comes back down relatively quickly. Fasting insulin and glucose levels are normal, and the peak insulin level is reached at about 30 minutes. By about 3 hours later, it’s back to baseline. Glucose and insulin responses are both normal. Pattern 2 – Delayed insulin peak: In response to a glucose load, the insulin level rises quickly, but it rises higher than that for the healthy person in pattern 1. Fasting insulin level is normal, and the peak level is reached at 30-60 minutes. In addition to rising higher, insulin takes longer to come back down, not returning to baseline until about 4-5 hours after. Glucose response is normal, but insulin is elevated higher than normal, and it remains elevated for a prolonged amount of time. This pattern indicates hyperinsulinemia. Pattern 3 – Delayed insulin peak: In response to a glucose load, insulin rises even higher than the already hyperinsulinemic example in pattern 2, but it doesn’t reach its peak until even later. Fasting insulin is normal, but the peak level isn’t reached until the 2 or 3-hour mark. This is a delayed peak, and it takes even longer to come back to baseline. Glucose response may be normal or at diabetic levels; insulin is elevated higher than normal, and it remains elevated for a prolonged amount of time. This pattern indicates hyperinsulinemia. Pattern 4 – Insulin Resistance: Fasting insulin level is elevated (>10 μU/mL). In response to a glucose load, the already elevated baseline insulin level skyrockets, takes a very long time to come back down, and when it does eventually come down, it comes down only to the baseline, which was already abnormally high. Glucose response is usually at diabetic levels. This pattern is diagnostic for insulin resistance. Pattern 5 – Insulinopenic (low insulin): Fasting insulin is very low. In response to a glucose load, insulin barely budges, but glucose reaches diabetic levels (possibly as high as ≥300mg/dL). All tested values for insulin over the five hours are <30 μU/mL. When all insulin measurements are low and glucose is elevated, this pattern is suggestive of type 1 diabetes. To see a more detailed breakdown of the different patterns with both insulin and glucose, check out the guide from Meridian Valley Lab. Some people who’ve been following a long-term low carb or ketogenic diet will show pattern 5, low insulin. When insulin measurements are low and glucose is also low, this is not considered pathological. (It’s only a problem when glucose is high.) This is known to occur in some long-time low carbers. BUT: it’s been suggested that people who’ve been following a low carb or ketogenic diet for a while should “carb up” for a week or so to prepare for an OGTT or Kraft test. They should consume about 100-150 grams of carbohydrate for several days in order to get their body re-acclimated to metabolizing a significant amount of carbohydrate. Without this readjustment period, there’s a risk of getting a false result—of appearing to have extremely elevated insulin and/or glucose, when it’s really just that the body isn’t accustomed to dealing with a big wallop of glucose all at once. Should You Do a Kraft Test? If you’re satisfied with the results you’re getting from your diet and lifestyle, there isn’t much of a pressing reason to do the Kraft test. (After all, why would you want to drink 75+ grams of liquid glucose, even if you’re not on a low carb diet?) Also, there are other indicators that, taken together, can tip you off as to whether your insulin levels are chronically elevated (such as high triglycerides, low HDL, and a high waist-to-height ratio). But if you feel like you’ve been doing everything right, yet you’re still dealing with signs & symptoms of a condition that’s known to be driven primarily by high insulin, it might be worth it to see your glucose and insulin in action—especially if your fasting levels for both are normal. Once you know for sure how your body responds, you can put that data to work for you and let it guide you onto a path to better health. Use the tracking software here at Heads Up Health to do just that. We make it easy to monitor trends in your glucose, ketones, insulin, body measurements, temperature (good for thyroid function), and more, plus you can even track your fasts. Even your Bristol stool score!